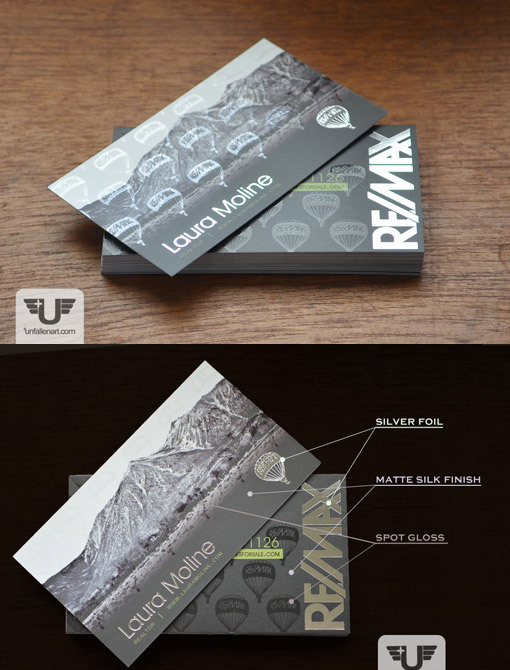 Laura wanted a high-end card that would set her apart from other real estate agents with stock layouts and bad portrait photos. So I went for foil inlays, minimal color scheme, spot gloss, and a silk finish on 16pt stock. The results were exactly what we were looking for: one of the first people to be handed a card said, 'Wow, that will certainly stand out, won't it?' Couldn't have asked for a better response.